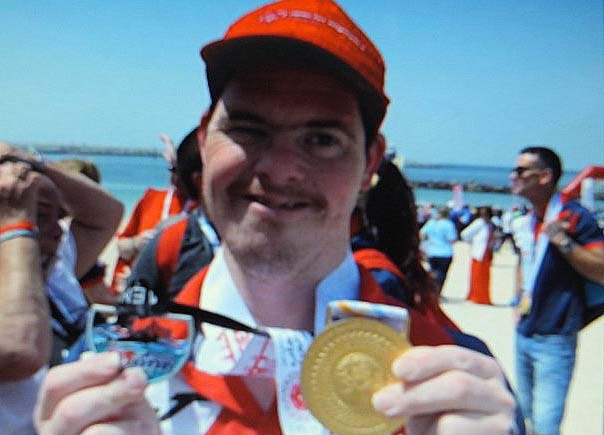 Adam Stewart, Down syndrome swimmer, was recently selected to swim 1600 meters open water for the Special Olympics for his new home, Gibraltar. Adam was one of 19 athletes selected to compete in Abu Dhabi/ Dubai Special Olympics from 14th to 21st March. He had been training in the cold waters around Gibraltar for months. His race was on the morning of the 16th and he won a gold medal with his unified partner, the first for Gibraltar, which inspired his team mates who amassed 19 gold silver and bronze medal between them, along with several 4th, 5th and 6th place ribbons. Competing in the Special Olympics and winning gold has been a lifelong ambition since he was 17 years old. Two weeks later Adam and his sister Lucy were competing in the DSSF (Down Syndrome Open European Championships) at the Quays in Southampton on the 6th/7th April . There were around 200 swimmers from 8 different countries, Estonia, Sweden, USA, England, Scotland, Northern Ireland, Wales and Gibraltar. Adam easily adapted from open water to pool and won 3 golds (1500, 800,100 meters, knocking 13 seconds off his 100 free) 2 silver,1 bronze and 3 ribbons, this was a great achievement. 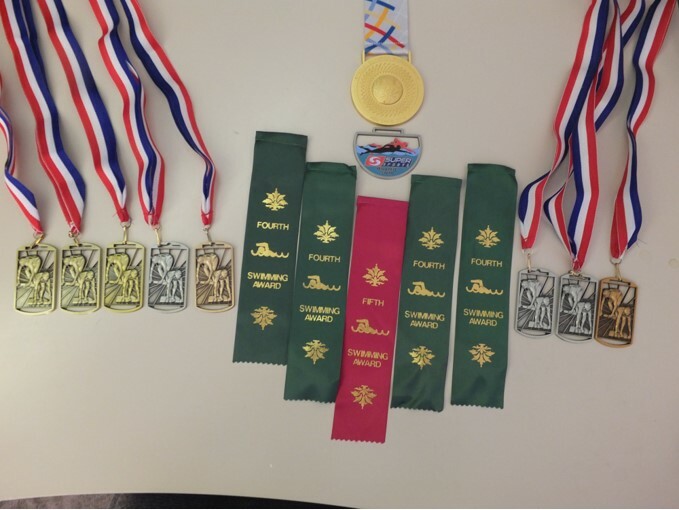 Lucy competed in 5 races winning 2 silver, 1 bronze and 2 ribbons. Adam and Lucy would like to thank GASA and their coaches in the pool and open water for preparing them for both competition, jobs well done. Both would like to say thank you to all who supported them on the Orihuela Costa.